Alabama has passed a new law allowing patients immunity for bringing in CBD oil to treat their conditions. Look up surveys of states least likely to legalize medical cannabis, and among the top haters, you are bound to find Alabama. With some of the strictest laws on marijuana in the country, the state has more than its fair share of prisoners for simple possession. Now, it looks like sentiment is starting to change, and medical access is slowly improving. In 2014, a bill established a CBD oil medical study at the University Alabama at Birmingham. 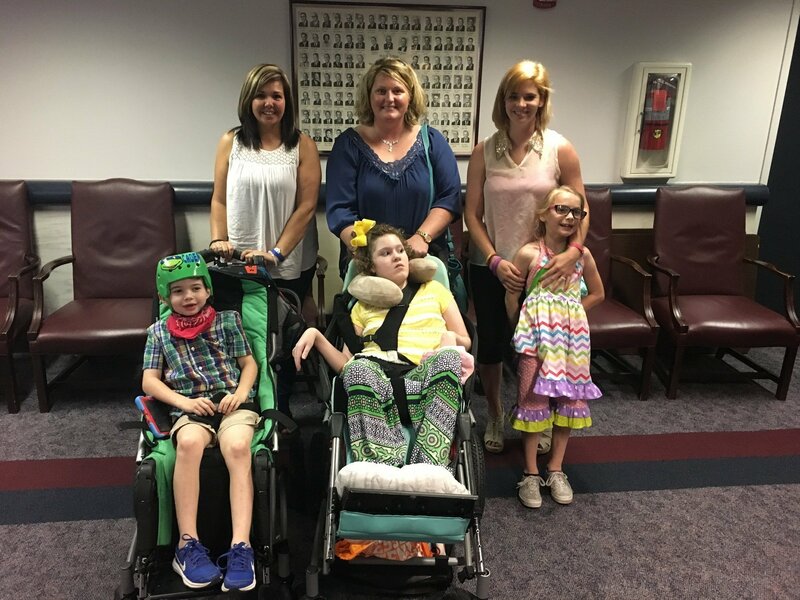 The bill was headed by Republican Rep. Mike Ball, who began to push for CBD oils after meeting several Alabama families dealing with serious medical conditions like epilepsy, which have shown remarkable improvement with cannabis oil treatment. UAB is studying pharmacy-grade CBD oil Epidiolex, but because of the red tape of federal regulations, most potential candidates were denied access to the medicine, infuriating residents and causing several families to uproot and relocate to more medically friendly states after being denied. One of those families was that of Leni Young, which moved to Oregon after being denied access. At 4 years old, Leni has a rare form of cerebral palsy. Her first stroke occurred while he was still in the womb. Her plethora of medications have somewhat lessened the frequency of her hundreds of daily seizures, but the side effects have been profound. Leni is lethargic and mentally underdeveloping for her age from the lack of ability to learn while under their effects. Her teeth are also rotting out of her mouth. Her family decided to try CBD oil for her regardless of the law and were stunned with her improvement. They continue to advocate for CBD oil decriminalization alongside an entire community of Alabama families. The UAB study of Epidiolex is ongoing, but the results so far are more than promising. According to a statement released in March, approximately 50% of patients have seen “sustained improvement in seizure control“, and 2 patients are completely seizure-free. Leni’s Law, which will decriminalize possession of CBD produced in other states, will go into effect June 1st of this year, effectively allowing patients to bring in their own medication from out of state. Although it doesn’t address the federal law prohibiting inter-state transport of the substance, it is a step in the path to allowing patients to make the call for themselves without repercussions back home. Opponents of the law, both in the medical establishment and legislature say that CBD research is “too experimental” and “limited in findings”. Dr. Shannon Murphy spoke out in the March hearing, saying that 3% THC (what the new law will allow as the max for acceptable dosage) was too potent for children’s’ developing brains, compared to the drug in the UAB study, which is only .2% THC. Other doctors are concerned about using non-FDA regulated medicines. Epidiolex, meanwhile, has been granted Orphan Drug designation by the FDA and fast-tracked for the approval process after incredible results in their Phased trials. “As a physician, I believe it is extremely important to give patients with a chronic or debilitating disease the option to consider every possible option for treatment. From GW Pharmaceutical’s website, the numbers on childhood epilepsy and treatment resistance are daunting. “Epilepsy is one of the most common neurological disorders in children. According to Russ in the February 2012 edition of Pediatrics, there is a point prevalence of 6.3 per 1000 children currently diagnosed with epilepsy or 466,000 childhood patients in the United States and 765,000 patients in Europe. “Specialists estimate that up to 20% of these cases show pharmacoresistance to current treatment (i.e., seizures that persist, despite accurate diagnosis and carefully monitored treatment with multiple antiepileptic drugs) and are deemed “medically intractable”. It’s time that safer, more effective treatment regimens are available. Patients across the country, and indeed the world are frustrated with government interference in a process of medicine that should be between patients and their doctors, not law enforcement. Do you think that medicine should be regulated by medical professionals or legislators? Who knows more about the subject? Share your thoughts on social media or in the comments below.